Muslim Press has conducted an interview with British Palestinian academic and writer on Middle East Affairs Kamel Hawwash about the Israeli-Palestinian conflict and the role Palestinian Authority President Mahmoud Abbas is playing in this regard. “It seems Abbas has led the Palestinians to a dead end. Gaza is still under siege ten years on, the settlements continue to grow in the West Bank, including East Jerusalem, over 6,000 prisoners still languish in Israeli jails, reconciliation with Hamas has failed and the refugees have not been able to return to their homes in historic Palestine,” Prof. Hawwash said. Muslim Press: Palestinian Authority President Mahmoud Abbas has recently met with US President Donald Trump. What’s your take on this meeting? Does Abbas speak for all Palestinians? Kamel Hawwash: Abbas’ first meeting with the American President in Washington seemed to have gone well. Donald Trump even tweeted that he was ‘honoured’ to meet the Palestinian President but he then deleted the tweet. He continued to repeat his belief that bringing peace between Israel and the Palestinians is the ‘ultimate deal’. The second meeting was less positive. Reports suggested that Trump focused on what Israel calls Palestinian incitement, which had been fed to trump during his meeting with Netanyahu, hours earlier. Trump is said to have accused Abbas of lying to him about his actions to end incitement. It also emerged that Trump had raised the issue of the PA’s monthly payments to families of Palestinian prisoners and martyrs (those killed while allegedly attacking Israelis, including occupation forces). As to the peace process then little emerged from the meetings to give the Palestinians hope. However, Abbas was still committed to negotiations, brokered by the Americans. MP: Has Israel been pressuring the PA since Trump was elected? Kamel Hawwash: Israel has been moving the goal posts again. It is now raising the issue of ending Palestinian ‘incitement’ as a major issue in advance of any negotiations and is requiring that the PA ends payments to families of prisoners and those the Palestinians see as martyrs. It has further been attempting to relegate the importance of reaching a deal with the Palestinians to a secondary issue that is part of a regional deal rather than important in its own right. This has to be set against the context of what Israel claims to be thawing relations with some of the Gulf States and the talk of partial normalisation between Israel and key players in the region including Saudi Arabia. MP: What are the results of Abbas’s policies toward Israel for Palestinians? Kamel Hawwash: It seems Abbas has led the Palestinians to a dead end. Gaza is still under siege ten years on, the settlements continue to grow in the West Bank, including East Jerusalem, over 6,000 prisoners still languish in Israeli jails, reconciliation with Hamas has failed and the refugees have not been able to return to their homes in historic Palestine. In addition, the PA’s security coordination with Israel is seen as ‘sacred’ by Abbas which the Palestinians find difficult to understand when Israel continues to flout all agreements signed with the PA. The lack of hope is the most dangerous outcome from his policies, despite a small number of achievements, including the upgrade in Palestine’s status to a UN non-member observer state in 2012. MP: Trump has said he will find peace between the Palestinian people and Israel. 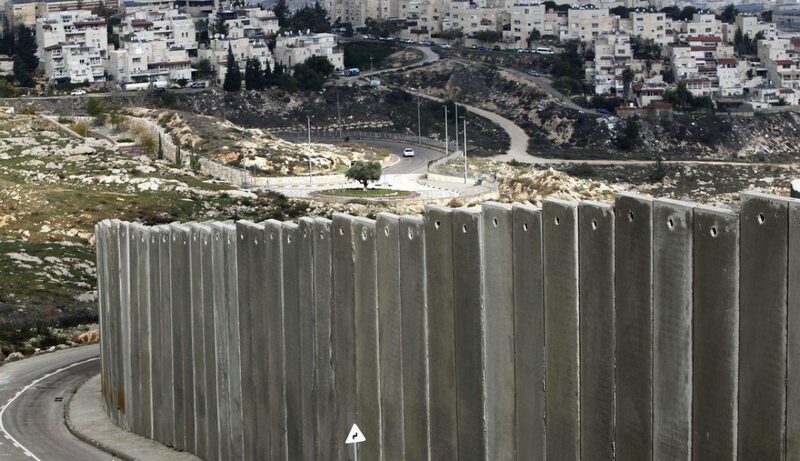 How would that be possible while Israel is still expanding illegal settlements? Kamel Hawwash: It is difficult to see how Trump can bring peace between the two sides considering how biased his team of negotiators is and his in favour of Israel and his choice of US Ambassador. The three key players, his son-in-Law Jared Kushner, Jason Greenblatt and Ambassador Friedman, could easily be on the Israeli side as they support much of Israel’s policies, especially the settlement enterprise. Trump has not appointed a single adviser who could be seen as pro-Palestinian or indeed an American of Palestinian heritage. He has abandoned long standing US policy regarding the illegitimacy of the settlements and does not mind if the parties want a 2-state or one-state solution. His vision is rather confused. MP: What’s the significance of Jared Kushner’s meeting with Netanyahu and Abbas? Kamel Hawwash: This may have finally exposed the bias of the American team towards Israel. Reports indicate Kushner had left his meeting with Netanyahu for Ramallah effectively to pass on Israeli demands to the PA rather than offer some balance or provide an indication of his ideas for relaunching the peace process. Kamel Hawwash is a British-Palestinian engineering professor based at the University of Birmingham and a longstanding campaigner for justice, especially for the Palestinian people. He is vice chair of the British Palestinian Policy Council (BPPC) and a member of the Executive Committee of the Palestine Solidarity Campaign (PSC). He appears regularly in the media as commentator on Middle East issues. He runs a blog at http://www.kamelhawwash.com and tweets at @kamelhawwash.